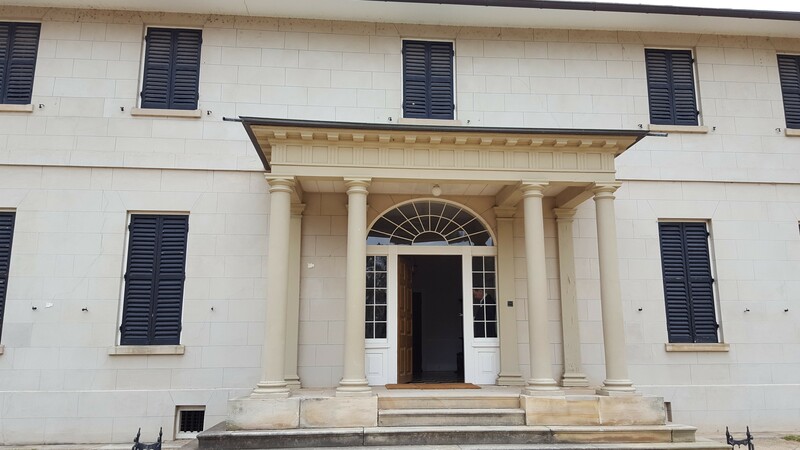 Have you ever been to Old Government House at Parramatta and wondered what it would be like to go behind the scenes? Well, there are two ways you can. The National Trust of Australia (NSW) relies on historically-minded caretakers from the community, who give of their time freely, to share heritage properties with the public. In the case of the UNESCO World Heritage-listed site in Parramatta Park, the Friends of Old Government House (OGH) and Experimental Farm Cottage, was formed as a volunteer fund-raising body to help maintain the House and its collection. With less than 10% of the National Trust's collective total operational revenue coming from the government, you can only imagine how important the role of the Friends of OGH is. 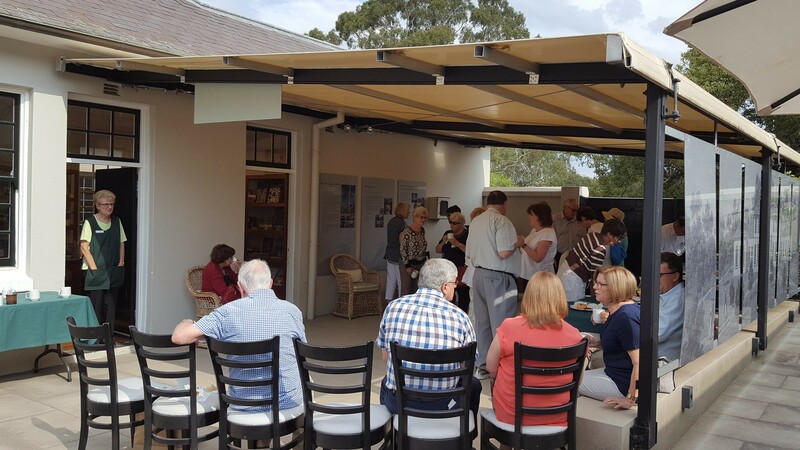 The cost of preserving the oldest surviving public buildings in Australia (Old Government House and garrison buildings) relies mostly on income from donations, ticket admissions and special fund-raising events and activities, hosted by its team of volunteers. 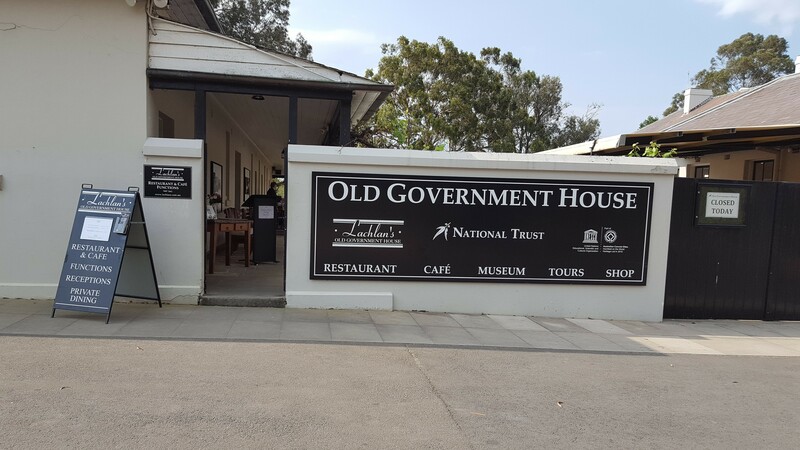 Managing the operations of a colonial landmark is serious but how rewarding must it be for those with a fascination for history and a passion for education? Membership of the Friends Committee is by nomination and financial membership of the National Trust but there are also casual volunteer vacancies to assist with fund-raising events, which can be filled at any time. Imagine spending your Saturday or Sunday guiding visitors through a special tour of the halls once paced by Lachlan Macquarie? Or, ringing the servants' bells for a Friday evening Ghost Tour? To find out more about the Friends of Old Government House and how to get involved, visit the group's website and/or Facebook page. If you follow the Friends of OGH on social media, you'll be kept up to date with the special lectures, exhibitions and events that run outside of general admission times, at the property. It is worthwhile booking yourself into these activities, as they work on limited numbers for special tours. You'll be rewarded with insights into the secrets of the House and its Georgian collection, gleaned from volunteer guides with a wealth of knowledge. It was my good fortune to book a ticket, last minute, for one such event. 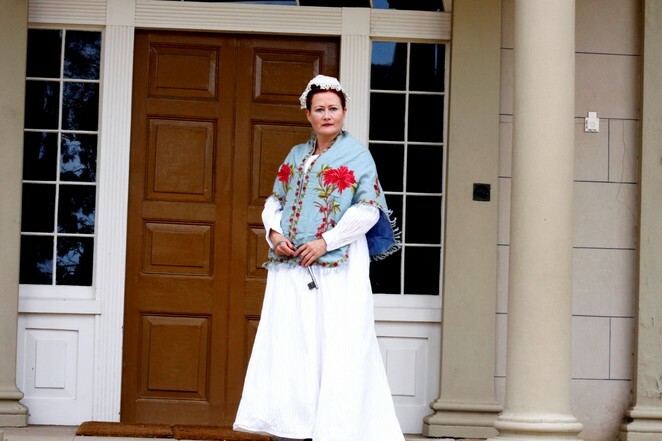 Old Government House was closed to the public on Sunday 24th September, when it Friends hosted a special presentation of Blaxland and Daughter's Pioneers in Petticoats. 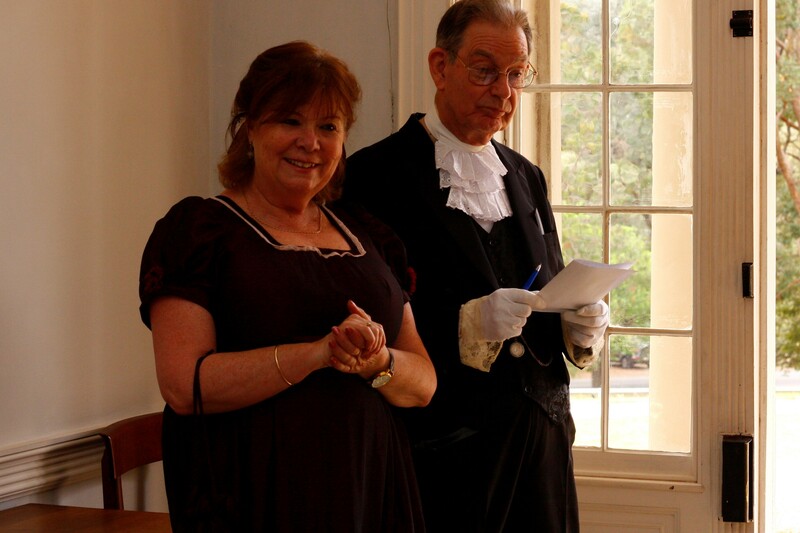 Greeted by the Butler and Mrs Macquarie (volunteers in 19th Century disguise), the select group of guests were invited into the drawing room. It was a perfect setting for playwright Wendy Blaxland's historical one-woman play. 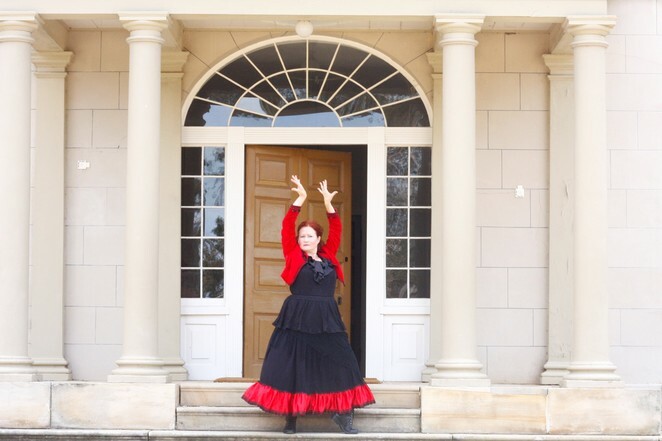 Amongst the room's authentic Georgian furnishings, the audience was treated to actress Brigid O'Sullivan's remarkable portrayal of four colonial heroines: escaped convict Mary Bryant, unsung scientist Fanny Macleay, child pioneer Eliza Hawkins and the infamous Lola Montez. The play is a modern Australian classic with a perfect narrative construct and delivery, thanks to O'Sullivan's dramatic flair and the creative team's deft handling of a confined performance space. 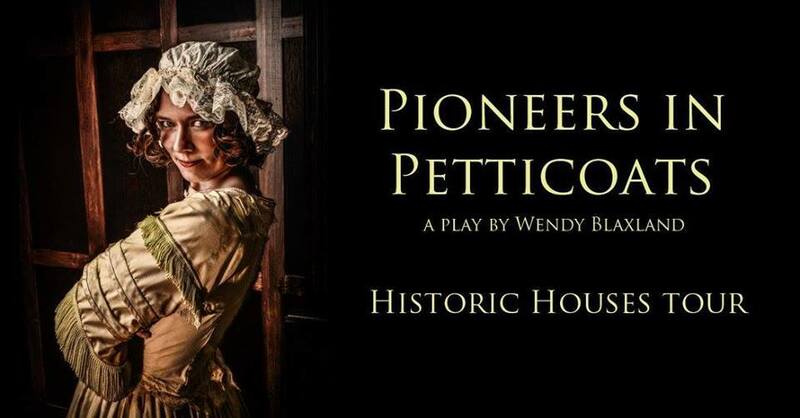 And though its run has been successful to date, Pioneers in Petticoats could not have found a more perfect venue than Old Government House; a true pleasure for the theatre company and its audience. Follow Blaxland and Daughter on Facebook, to make sure you don't miss any future performances of this rewarding theatre experience. Hospitality is what the Friends of Old Government House do best and after the show we were treated to a private tour of the ground floor of the building. Our friendly guides shared the domestic secrets of the governors and their wives, before tempting us to return for an atmospheric Ghost Tour on the 3rd Friday of every month, or even for the Halloween event... if we dare. To cap off a wonderful afternoon spent in yesteryear, the Friends of OGH catered a traditional high tea, with freshly baked scones, curried egg sandwiches and delectable cakes. For a very reasonably-priced ticket of $45, I could not have asked for a more special experience. I have always loved Old Government House but this visit gave me a much greater appreciation of the people we have to thank for its preservation. Hope I can get to see the next production of Blaxland and Daughter's Pioneers in Petticoats.